Premium Box Calf This gleaming, aniline-dyed calfskin with a very fine, shiny, yet firm fiber structure is the classic type of smooth leather used to make elegant accessories. 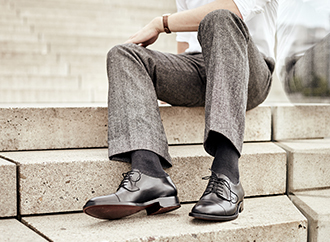 The classic lasts from the Hungarian capital Budapest have achieved such fame that the 'Budapest' now colloquially refers to all shoes with a hole pattern. 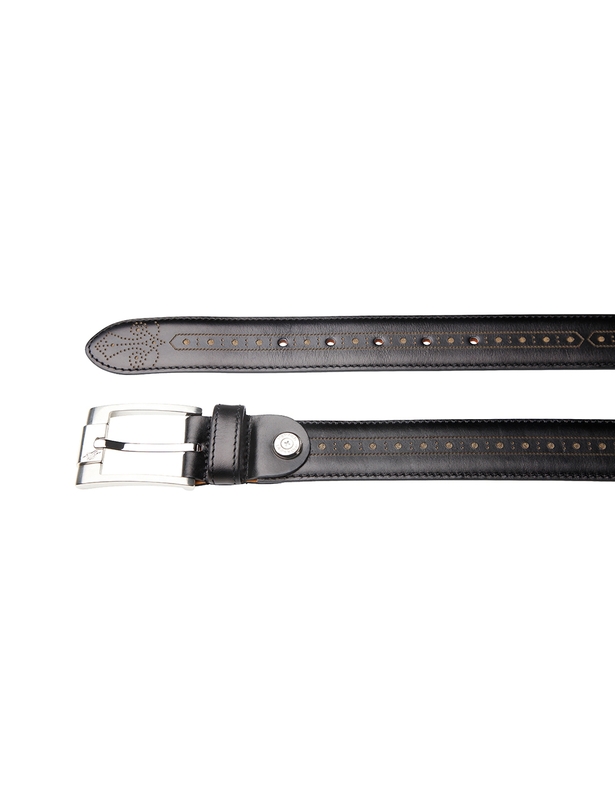 Heinrich Dinkelacker has now applied this celebrated decoration to our belts for the first time: the lyra perforations runs through the smooth leather in a charming contrast between the black calfskin leather and light-colored lining. 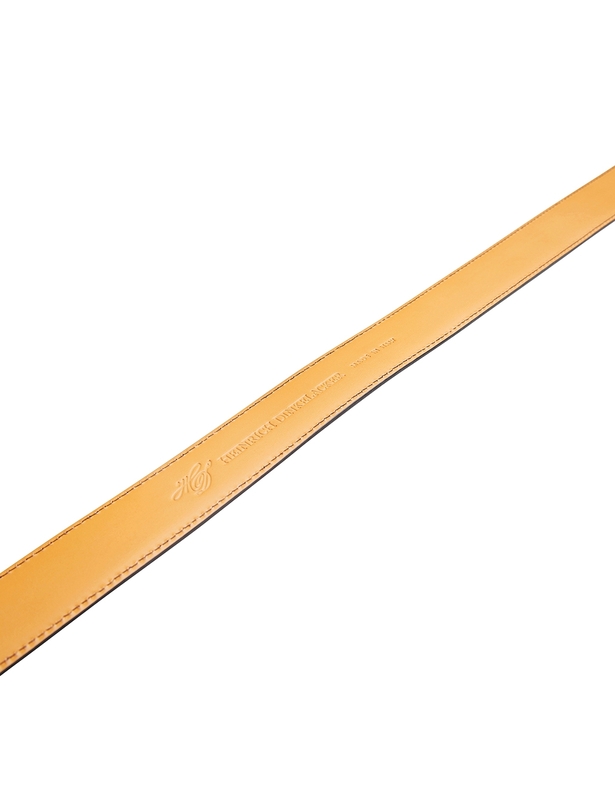 As with its Budapest model, the elaborate perforations also leads to a rosette on the tip of the belt. 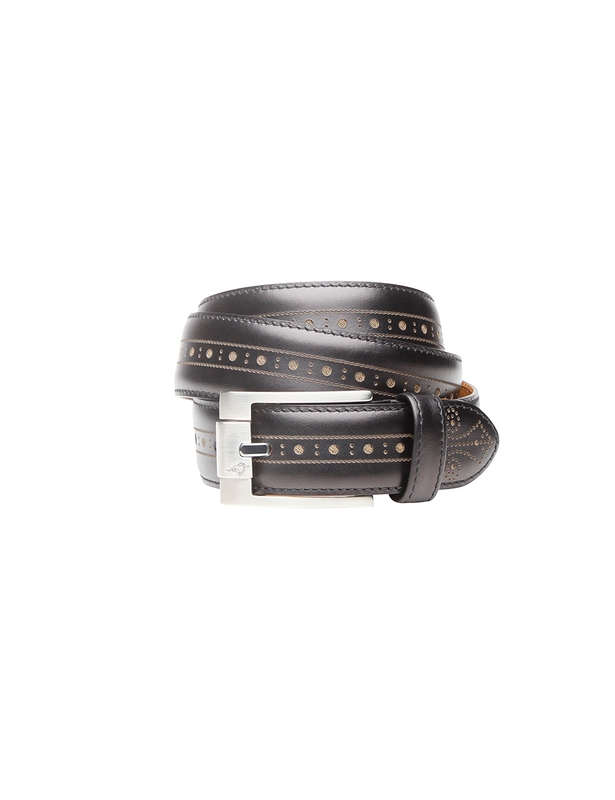 The belt buckle, as with all our models, is suitable for allergy sufferers. With its refined brushed-metal appearance and Heinrich Dinkelacker lettering, the buckle once again highlights the traditional elegance of the belt.